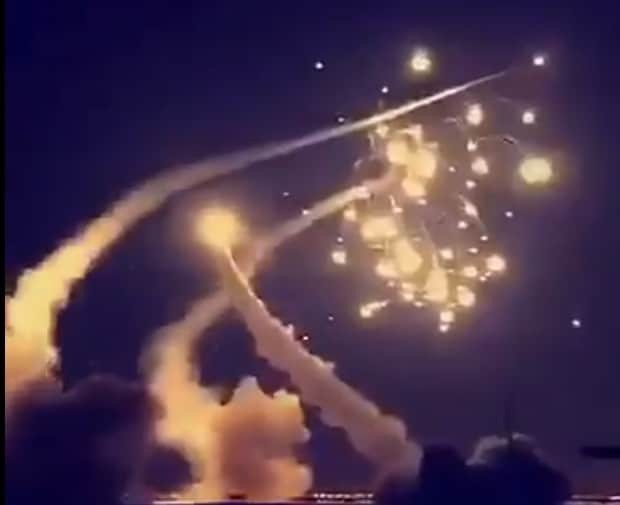 Saudi Arabia has accused Iran of supplying missiles fired from Yemen by Ansar Allah (Houthi) insurgents who control the capital Sana’a and much of the country. An Egyptian resident was killed on Sunday when seven missiles were fired on four targets, including the Saudi capital. The death was the first from missile fire since Saudi Arabia led a deadly military intervention in Yemen in March 2015. Saudi Arabia also accused Tehran of responsibility last November after a Houthi missile landed near Riyadh International Airport. Undoubtedly, these warmongering and irresponsible remarks are open to legal and international prosecution. By leveling baseless and imaginary accusations without evidence against others, Saudis are trying to cover up their inability and consecutive defeats they have suffered…in the war against Yemeni people despite possessing…a collection of advanced weapons and multi-billion-dollar arms purchases. He declared that Riyadh was in “no position and condition” to realize its “illusions and fantasies” and would have to give up their “delusion of grandiosity” when they learned they “cannot generate power and security by relying on arms purchases and costly and imported security”. Iran has given political support to the Houthi insurgency but insists that it is not providing military aid. More than 10,000 civilians have been killed since the Saudi-led intervention in March 2015. Millions are at risk amid sea and ground blockades of food and supplies. There is no way Iran could have shipped entire ballistic missiles to Yemen which is under blockade by the Saudis and also the American fifth fleet. More likely, Iran transferred know-how, as well as some critical parts like guidance systems and engine components.